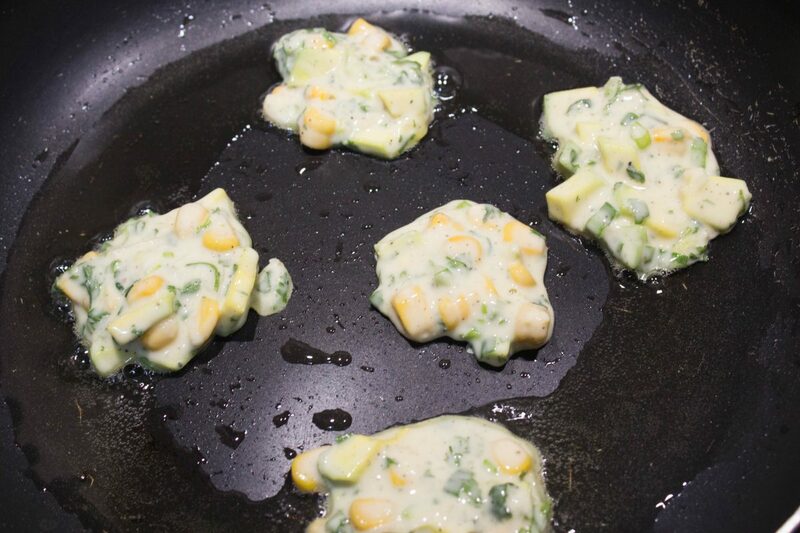 Corn and avocado fritters: a super healthy breakfast treat for every one! 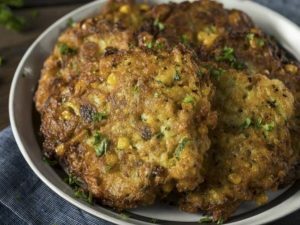 Corn and avocado fritters is a pretty healthy breakfast preparation that takes practically no time to prepare. Just have the vegetables chopped before hand, may be a day in advance to sort out your breakfast agonies. 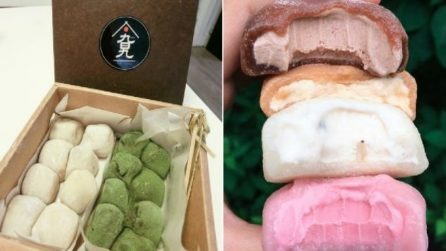 It tastes so much similar to everyone’s favorite pancakes. In fact, you may lure and feed the kids in your house by referring to these fritters as the savory pancakes. 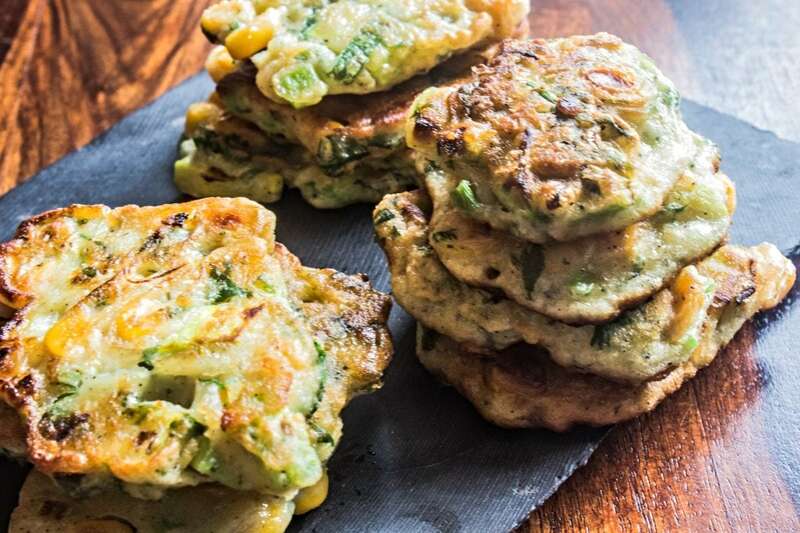 Even though these are prepared using corn kernels and avocado, you will be surprised by the buttery soft texture of these fritters. So, try them out and relish the goodness of some veggies early in the morning! Rinse the corn kernels and then steam or microwave the corn kernels for about 5 to 7 minutes or until the corns are soft to chew. Cool the corn kernels to room temperature. 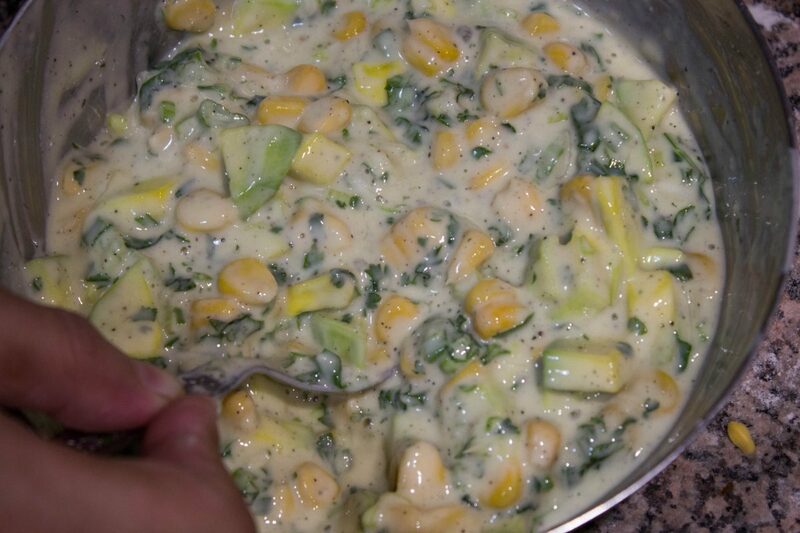 In a bowl, add the flour and then crack open an egg over it. 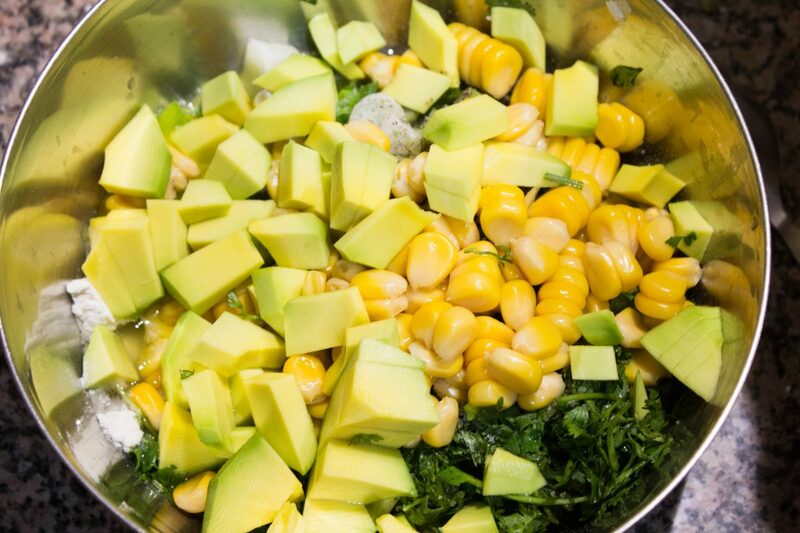 Add in the green and white part of the spring onions, cooked corn kernels, finely chopped cilantro, salt, black pepper powder, chopped avocado, and fresh lemon juice. Gently mix all these ingredients together until everything is well combined. Let the batter sit for about 2 minutes for the flavors to blend well. Now, heat a non stick pan and add the canola oil to it. Add small ladleful’s of batter to the hot pan at a distance of about 2 inches from one another. Cook the fritters for 2 minutes or until the edges start to cook and then flip it and cook on the other side again for 2 minutes. Flip the fritters again until they turn golden brown in color on both sides. Repeat the process with the remaining batter. 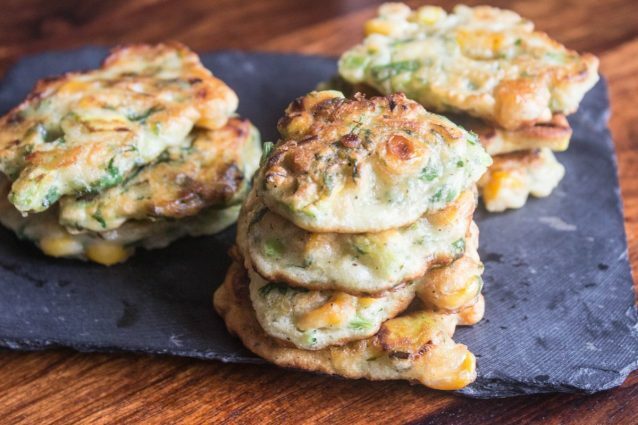 Serve hot corn and avocado fritters and enjoy! Make sure that the avocado is not too raw or bitter in taste. If using a non stick pan, you may reduce the quantity of canola oil by half as well. Make sure that you carefully remove the egg shells while you break the egg. A wiser technique would be to break the egg in a separate bowl first and then use that broken egg for the recipe. 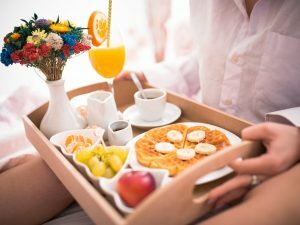 You may also prepare the batter in advance and make the fritters when you plan to serve them.